BlogCan Social Media Change Scholarly Publishing? Can Social Media Change Scholarly Publishing? Whether it is your marketing goals or personal branding, social media has become a necessity in every industry. A simple tweet or blog post has the potential to build your brand, engage in industry developments, and spread your message to a rapidly increasing audience. On the other hand, scholarly publishing has often been associated with terms such as ‘traditional’ or even ‘old school’. However, the dynamics of academic publishing are changing. Not only alternative publishing models are being introduced, but social media is increasingly playing a pivotal role in the industry. Social media increasing in scholarly publishing, but it’s changing the industry as well. The findings of research is no longer limited to just academic publications or scholarly institutions. Social media is now seen as a vital tool in sharing research. Sharing findings on social media not only provides more exposure to your research, but also puts it forward for debate. Social media platforms such as Twitter, Google +, and Tumblr become crucial in encouraging specific research, but also criticizing it as well. This form of public peer review on social media sparks debates and has even been criticized in some academic circles as well. However, regardless of the varying views on public peer review, it is here to stay. Despite promoting debate on academic research, social media is also integral in promoting research and increasing opportunities as well. Social media helps to promote relevant research and helps publishers engage with their audiences as well. Oliver Dumon, Elsevier’s Managing Director, has pointed out social media’s importance in improving research. He emphasized that social media tools help ‘filter’ out the relevant research and open opportunities for young researchers by facilitating networking. As a result, social media becomes a necessity in advancing scholarly publishing. A New Model of Publishing? Alternative models of scholarly publishing have been a major topic in the industry over the past years. However, social media platforms themselves have the potential to become a publishing model. First of all, social media’s popularity can be attributed to engagement. With academic publishing often criticized for being too exclusive and difficult to access, engagement provided by social media provides the desired communication and encourages ‘conversational scholarship’.This situation can clearly be reflected by the fact that blogs are now being cited in academic journals and forums. Social media is far more than simply promoting research. Often, scholars and professionals in academic publishing limit their use of their Twitter feed, Pinterest board, or Tumblr blogs to giving feedback on research. 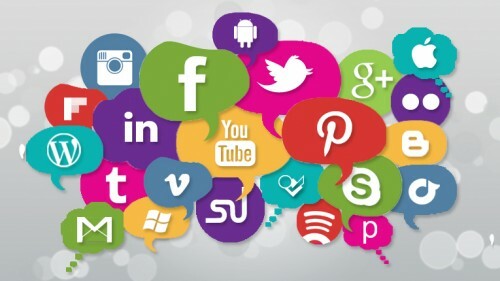 However, social media platforms allow individuals in the industry to connect with their audience and network with their peers. As a result, professors have explained that social media is immensely important to them by allowing to reach outside of academic circles, personally brand themselves, identify trends in the industry, and have the opportunity to further expand their professional network. Social media is already playing a crucial role in academia by being a growing source of peer review, increasing discussions, encouraging networking, and facilitating communication in the industry. However, do all these positive factors mean that social media can change academic publishing? Will these trends involving social media bring in new developments in the industry or are simply just a short-term phase? Let us know your thoughts.